So I’ve been learning to astral project and I can tell that I am almost there. I have had some of the various physical sensations like vibrations and buzzing and have seen shadows of images flashing behind my eyelids. But I’m pretty sure that my throat chakra is holding me back, it’s been blocked my entire life and I think I can tell because I have man of the physical symptoms that tend to be associated with it. 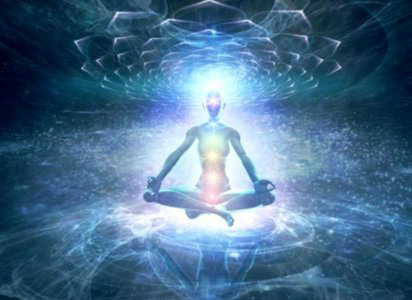 Recently I have been doing a lot of work to try to strengthen and open that chakra along with the other six, when I get to the point in my meditation where I’m starting to astral project I feel a huge lump in my throat that makes it almost hard to breathe and I start salivating more than normal. Any physical movement like swallowing makes it go away. I’ve been working on mentally focusing on not doing anything that would disturb that sensation because I’m thinking that it is a sign that the chakra is opening. Has anyone else had this experience and if so can anyone help me understand what is happening and what I should do? You have no issues with your throat chakra. You BELIEVE you have issues with your throat chakra, and that belief is all that’s holding you back. You’re well-spoke and communicate effectively. You have no issues with your throat chakra. With that said, stop worrying so much about stuff like needing to swallow. Just do it. Do you worry this much when you fall asleep at night? Probably not. You just lie down and fall asleep. Well, projecting isn’t any different. You lie down and “just project”. If you need to scratch an itch, do it. If you need to swallow, do it. Do it calmly and gently so you don’t break yourself too much out of your state of mind, but just do it. It’s not a problem. You open your eyes, calmly and quietly get up, calmly and quietly go to the bathroom, do your stuff… then go and sit back down. This act of getting up shouldn’t completely break your focus. If a simple movement such as “swallowing” is breaking your focus, then you’re worrying too much. 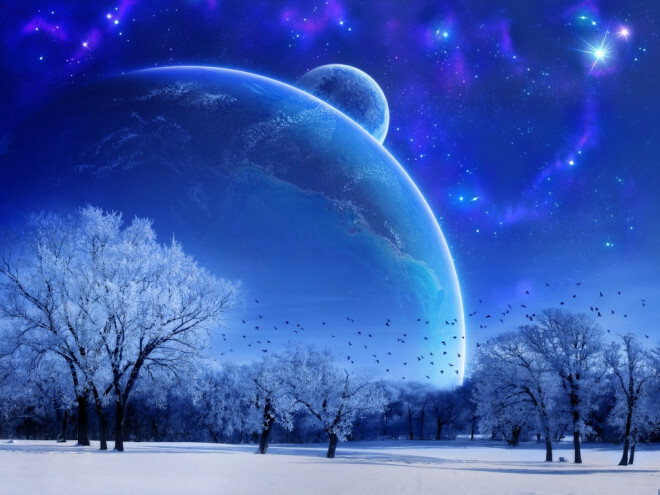 Astral Projection – What do to with the Vibrations? How about this… ignore them! For the most part. Acknowledge them only in the most minor way “Oh hey, vibrations, great…” then just continue doing what you were doing before they occurred. Let me explain. Vibrations should ONLY ever be considered a signpost experience/sensation. They are one of those sensations you will experience during your practices which tell you that you’re on the right path. Basically, they’re a signpost that reads, “Keep doing what you’re doing, because you’re doing it right!!”. However, what most people (especially new people) end up doing is the COMPLETE OPPOSITE!!! They end up stopping the method/exercise they were doing which CAUSED the vibrations in the first place and then focus entirely on the vibrations instead of what they were doing!! It’s like they’re walking happily down their path towards Astral Projection, then someone pokes then with a vibrating stick and then walk off the path in order to investigate that stick. Well, you’ve just stopped walking towards projecting. Understand? So, the signpost DOES NOT read, “Stop what you’re doing and focus completely on me!”… there’s no better way to KILL your experience than to stop what you were doing to focus on the vibrations. When you experience those vibrations, they’re only telling you that you’re doing things right. That’s it. Just give them a mental nod and continue walking calmly down the path you’re on. You now know you’re on the correct path, BUT you still need to continue walking down that path if you’re to actually project. So, in order to continue walking down that path… just keep doing what you were doing which brought on the vibrations in the first place. When experiencing the non-physical, WHAT you experience is OBJECTIVE, HOW you experience it is SUBJECTIVE. The shape in the middle bottom of the image represents what your non-physical experience ACTUALLY is… the two shapes on the end represent how you INTERPRETED the experience. You can have two separate consciousnesses experience the same middle image, yet their interpretation of that experience could really end up in two completely different ways. WHAT you experience is OBJECTIVE (the middle shape), HOW you experience it is SUBJECTIVE. Is Astral Projection Just a Form of Lucid Dreaming? 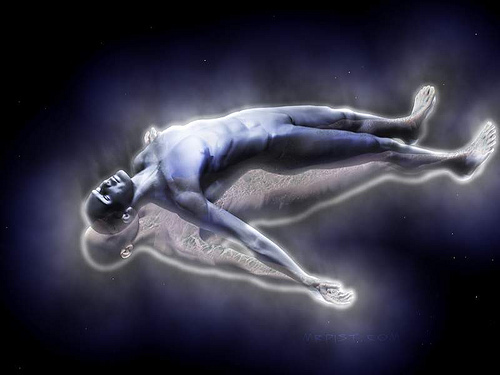 A member of the Astral Pulse recently asked “Is Astral Projection just a form of lucid dreaming?”. Well, to answer this question, we need to ask three separate questions which are all intricately linked and yet also not linked at all. Here are the THREE very important questions that need to be asked. 2. What is “lucid dreaming”? 3. What is “astral projection”? Now, I have been studying this stuff for a while and at one point, I focused almost exclusively on the first question in order to answer the second and third question. So began my journey to figure out what we humans (aka: science) know about “dreaming” began. What is Dreaming? I very quickly hit a roadblock when researching this question. What did I learn? I learned that humanity, LITERALLY, has absolutely no idea what “dreaming” is. We haven’t a clue. We have scientists who have provided educated guesses, but not a single human lives today or has ever lived who has been able to answer that question. So… that kills question #1. The answer: We humans don’t know what “dreaming” is. Question #2 and #3 are kind of unanswerable because we don’t know the answer to question #1. So when you ask “is astral projection just a form of lucid dreaming?”, do you realize what you’re REALLY asking here? You’re asking “is some random label of something we have absolutely no idea about, just a form of another random label of something we have absolutely no idea about?”. Most people love to compare dreaming to lucid dreaming and to astral projection, but you can’t do this. It makes no logical sense because if you don’t know what “dreams” are, then you can’t use it as a basis of comparison to anything else. Please read that article, and enjoy. Post Focus! After 20 years my OBEs have stopped! I haven’t done one of these in a while so I thought I’d start them back up again! Post Focus! There was a post made on the Astral Pulse today by Alex-Anderson, where he speaks about having many what he labels as “OBEs” during his life, but now recently, within the last couple years, that has apparently stopped. He goes on to say that he does have many, what he labels as “lucid dreams” though. Which is great! And I’ll explain! Guys this is driving me crazy, I had probably about at least 3 or more OBEs per week for many years/decades, and my experiences became very mature and controlled in the latter years, but for some reason they stopped suddenly about 2 years ago. Since then external factors such as a new position at work (higher workload + stress) and the birth of my twins could be contributing factors undecided, but nonetheless I feel somewhat depressed loosing what I thought was a unique gift. Every night at bed I’m thinking about possible OBE experiences but nothing ever avails (mine always happened from sleep). However I still have very detailed lucid dreams (as I did as a child prior to OBEs occurring), but so far it remains as is with nothing more than a lucid dream. I remember reading a book stating that OBEs can just stop in mid/late adulthood and never return, has anyone ever had this and found some way to re-kickstart the experiences again? The ONLY issue you have is that you’re stuck on labels. To me, those two quotes above (bolded sentences) are contradictory. An OBE *IS* a projection. A lucid dream *IS* a projection. Your ONLY problem is that you “believe” that they’re different things… and, as I said, you’re too hung up on labels. Forget the terms you know. They’re meaningless and worthless. If you’re consciously aware that you’re experiencing a reality which isn’t this physical reality, then you’re projecting. What you need to do is learn to control what you’re calling a “lucid dream” and dictate where and what you do in those experiences. They’re ALL non-physical experiences. If you want to experience something resembling this physical reality while having what you’re calling a “lucid dream”, then just do it. You’re only limiting yourself here. Place the intent. Do what you choose to do. Have control. You have no problem here beyond what you believe you do. You haven’t lost anything except time. You won’t *see* it. You’ll… well, the best way to describe it is *perceive* it. What’s going on right now? You’re not actually *SEEING* that memory, yet you can still *perceive* every nuance of it. You can see the people, you can perhaps hear the words they’re saying, and the environment going on around it. But never do you SEE anything other than the blackness when you close your eyes. Actually, you don’t even have to close your eyes when you do this! You can see what’s physically going on around you AND still “perceive” the memory. A lot of people confuse what visualization actually is and how it relates to Projecting. Use this knowledge now when you try your Mental Rundown Exercise! Destynee’s Plan – Yohan’s Member Review! I asked, Yohan, one of our successful members of Destynee’s Plan to write up and share their experiences with us and with learning how to Project. You can read her thread here: yohan’s thread. So you want to Astral Project huh? Just do a google search and see what you get. Well let’s see there are various timers you can use, Isochronic tones, Binaural beats, something about Focus 10, staying still for a long time so your body falls asleep, lucid dreaming, staring at the back of your eyelids and all sorts of other things. There is even a technique where you put salt on your tongue before bed. What’s the right technique? What’s made up? What’s working? What is Astral Projection anyway? You need a place to start. The reason I wanted to project to begin with involved my boyfriend of 6 years. It was the end of October. One morning on our way to his job we were hit by an 18 wheeler truck. He died from his injuries. A friend of mine who is a medium contacted him and I was able to talk to him. It was through this experience that I realized that people exist in the nonphysical. So from that day on I did tons and tons of research to try to find a way that I can talk to him or possibly be with him. After doing lots of research and still feeling confused I found the website unlimitedboundaries.ca. In the forum I came across Destynee’s Plan. Here you create a thread introducing yourself. You write about any past experience with Astral Projection, what you currently understand about it, and the techniques you are currently using. You then post on the thread about problems you’ve been running into and experienced projectors will give you different resources, opinions, and information to help you be successful. For me it was tremendously valuable that Xanth offers this service on his forum. A lot of us come across similar obstacles when trying to project. It’s something that I, as well as many others, feel that all people should be able to experience. Destynee’s Plan is a place where you can find some guidance as opposed to a regular message board where your question may or may not be answered. People actually take time to read what you are going through and give personalized advice. These people dedicate time out of their lives to helping you. The way I found my method was through trial and error. In my Destynee’s Plan thread I shared my attempts and asked for advice. Even the most subtle suggestions helped a whole lot. For example I wrote about how I was trying to force my eyes not to move. Xanth and Szaxx pretty much said don’t do that. Forcing anything will obstruct your progress. This was a huge as I it takes great effort to try to keep your eyes still. I use that energy to focus on other things. They gave me advice on other things such as how to deal with distractions, increasing awareness, helping me with reality checks and also how trying too hard can be a barrier. The members of this forum were very encouraging. I’m thankful to every person who gave input. I found a method that worked for me. I go to sleep around 9 or 10 pm. I wake up about 5 hours later at 3am. I repeat affirmations and read up on Astral Projection and Lucid Dreaming. This helps to strengthen your intent to Astral Project. I listen to some Isochronic beats (I don’t use headphones as they are distracting). While this is playing I practice the Senses Initiated Lucid Dream technique. I do this until I fall asleep. After some amount of time, (I’m not sure how long) I feel very intense vibrations. I don’t use any exit techniques. I just use intent and will power to get up. The first couple of times there seemed to be a mildly strong force keeping me on my bed. But it gets easier to get up the more I did it. I’m not sure why this works. I believe I set the necessary conditions for me to Astral Project and my body does its thing. The thing is that everyone is different. I had tried lots and lots and lots of things before I was successful. I am still looking into other entry methods though. I don’t want to be confined to one. Because of my reasons for wanting to AP I was driven. If it’s something you really want to do you may have to try a bunch of different things. Some things work for some people that may not work for you and vice versa. Eventually you will find what works for you. For all beginners I would suggest reading Xanth’s book “My Astral Projection Truth: What is Astral Projection and How to do it.” It was exactly what I needed. It breaks down and simplifies states of consciousness and offers insightful information on the Phasing and Noticing techniques. It states that every technique “incorporates Visualization or Mental Concentration/Focus to fixate awareness away from the body”. That one sentence made the concepts of AP easier to interpret. It was super, super helpful. It’s a great document to start with. Just remember to do your own research and document your experiences and progress. Stay open minded but realize you won’t fully understand until you experience it for yourself. Utilize Destynee’s Plan because there are people there to help! I’m very happy that we’re able to assist people in learning to experience the non-physical for themselves! We have had more successes since Yohan as well. There is a single, sure-fire way to be a successful Projector: Spiritual Growth. Spiritual growth has many other terms describing it… increasing the quality of your consciousness, becoming a better person, spiritual evolution, lowering your entropy, etc. If you want to be sure to succeed with Projection, then you’re going to want to aim at becoming a better person. This has the rather effective side effect of making all of those other psychic and metaphysical activities occur naturally! You’ll hear lots of stories from many people about what you NEED or MUST do, but the jist is usually that they tell you that you need to meditate everyday in order to grow spiritually. Well, I’m here to tell you that there’s absolutely NOTHING special you need to do in order to increase the quality of your consciousness. It’s really simple: spiritual growth happens through your interactions with other consciousnesses in this reality. There’s nothing else to it. What I mean is that you need to interact with other consciousnesses (people, animals, etc…) in a Loving and Caring way. It means to be NICE to everyone and everything regardless of who they are. This SOUNDS easy, but then think about someone who really grinds your gears… now, be nice to that person. Now, the misunderstanding with spirituality is that you must be nice to everyone ALL OF THE TIME. This isn’t the case. Being spiritual doesn’t mean you allow people to step all over you… or you allow people to treat you poorly. Being spiritual means treating yourself with love and respect as much as anyone else, and you wouldn’t allow anyone else to be treated that way, so you shouldn’t to yourself either. What you’ll quickly find, as I did, is that doing this on a constant basis really changes your perception of life. This has the secondary effect of bringing beneficial things to you in order to help you further grow! This includes metaphysical things like seeing auras and Projection! As you begin to lower your entropy, you’ll begin to notice these things naturally occurring to you! Let’s talk now about the paths you can take to spiritually evolve. There are, essentially, two paths to growth. You can grow through Love, or you can grow through Fear. A good analogy for these two paths is the Force! We’ll start with the dark side (Fear-based growth). The dark side is limited in their growth potential, they can only become “so powerful”. An individual who spiritually evolves by Fear, uses control over others and control over themselves in order to evolve… they control themselves by controlling their emotional reactions to other people, this makes them “look” nice, but they’re really not. They’re only acting. These people are quite easy to identify, because they have issues with other people and the beliefs they hold. They usually think that their beliefs are the only true way to do anything and everyone else is wrong. They also attack those they disagree with. The problem with people who increase the quality of their consciousness with Fear is that to the less spiritually initiated individual, they look very powerful and very strong. It’s easy to get caught up in these kinds of individuals. If you can identify the Fear-base individual, you can put yourself in to a good position by staying away from them. They’re only interested in themselves and not really interested in helping you or anyone else. Now, let’s talk about the light side (Love-based growth). The light side is almost unlimited in their growth potential, they can become “extremely powerful”. An individual who spiritually evolves by Love, guides others with a caring hand and helps them to lower their entropy as well. These people are easy to identify as well, because they allow everyone to be as they are. They understand that everyone has their own opinions, their own experiences and their own beliefs. They accept this and don’t try to force their opinions upon others. These are the individuals you want to befriend, as they truly have your best interests at heart. You’re walking down the street behind someone who accidentally drops their wallet, but doesn’t realize it! You quickly pick up the wallet. While picking it up, you notice someone sees you do it. Your thoughts are now that you better give the wallet back or that individual will think poorly of you or might notify the actual owner of the wallet. So you return the wallet out of fear that they’re going to think poorly of you. This is a fear-based choice. This is someone who grows from the dark side. They did the right thing, but they did it entirely for the wrong reasons, yet they still LOOK like they’re good. In comparison, the Love-based individual would pick up the wallet and, without giving it a second thought, flag the individual down and give them their wallet back. They didn’t think about it, they just did it, because it was the right thing to do. These are the paths to spiritual growth. Through them, you’ll quickly notice that all metaphysical doors, including Projection, slowly begin to open to you. These occurrences will begin to be a natural part of your life. This will be a short and right to the point post about what a lot of people fear to be what is commonly referred to as the “Astral Police”. In sort, there is no “law enforcement” in the non-physical. At least not as you would expect. The only rules you break are the ones you place there for yourself. What you experience in the non-physical is objective, but HOW you experience it is subjective. Not many new people realize this and interpret experiences literally! You can’t do this. For example, the scenario above of someone being “stopped” by some “police” while projecting, this individual definitely was “stopped” or “blocked” from an action they wanted to take or stopped while doing an action, that’s the objective part… the subjective part was that they were stopped by “police”. So as you see, there is no “Astral Police”. 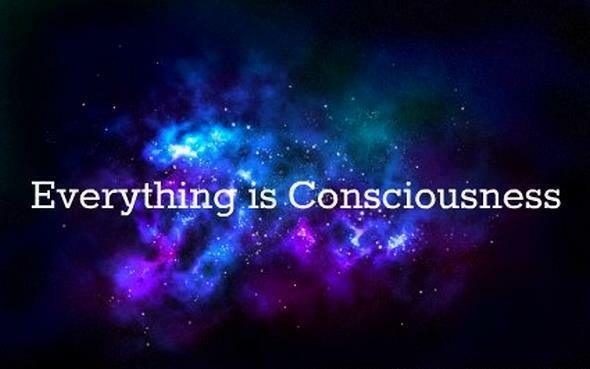 There is only your own consciousness looking out for itself. Keep doing things that you know are wrong and you’ll quickly find yourself unable to do those things anymore. Why Can I Never Remember My Dreams in the Morning? It’s been proven scientifically that you dream every single night of your life, yet some people wake up each morning and simply can NEVER remember what they experienced while unconscious. Why is that? Well, your memory works in the same way whether you’re experiencing this physical reality or a non-physical reality. You must have what I call a “base level awareness” in order for you to directly and consciously experience a dream, after you have that, it’s then up to you in order to fully remember it. There are other things you can do upon awakening to lock that memory physically, but that’s a point for another article. You remember whatever you directly experience. 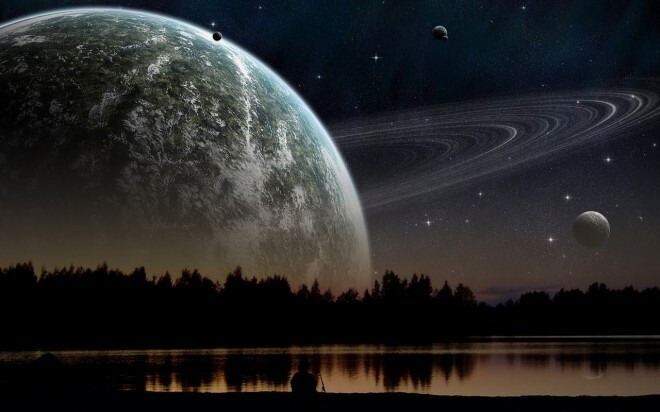 Yet to directly experience a dream, you must first have even the smallest amount of awareness within that dream. Anything less than that base level awareness, and you won’t re-call the dream, because you didn’t consciously experience it. I’ll explain how it works physically with a comparison event which I think a lot of us have encountered before: Being so drunk you didn’t remember anything from that evening. If you’ve ever been so blind drunk that the next day you didn’t remember anything that happened, it’s not that you didn’t DO things, because obviously you did (I’m sure your friends will tell you every detail! LOL), it’s just that you didn’t have the base level awareness to directly experience it. Well, the same holds true for your dreams. If you don’t have that base level awareness, then you won’t recall your dreams, because you didn’t directly experience them. For myself, my understanding of reality has shifted so far beyond the common labels people enjoy using (dreams, lucid dreams, astral projection, etc), I don’t identify with that terminology anymore. I simply don’t view reality in a way in which they work anymore. They’re too “physically limiting” for me now. I have found that experiences in the non-physical (hell, even physical experiences) aren’t something you DO, they’re something you ARE. 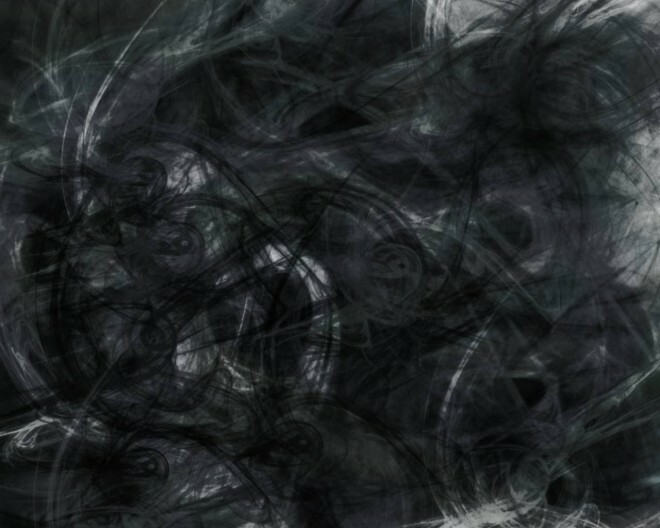 As I’ve made mention before, I don’t DO lucid dreaming… instead, I AM lucidly aware. I recognize that most (or even *ALL*) of the terms people use (dreams, lucid dreams, astral projections, etc) don’t objectively exist. There’s no such thing as a “dream”. 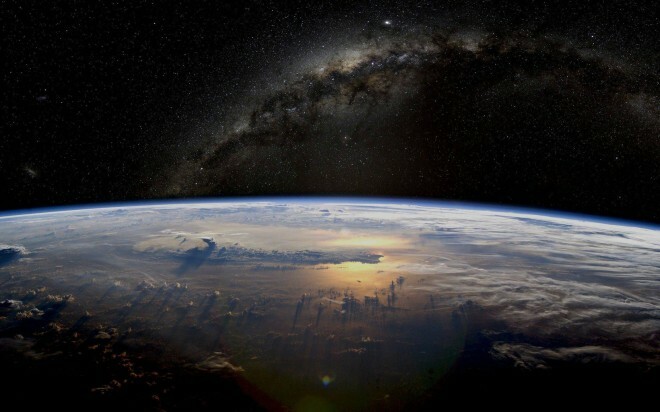 There is only an experience in consciousness where your awareness is experiencing a reality which you believe is this physical reality, but it really isn’t. To me, the labels above are absolutely and completely useless to convey the appropriate meaning of an experience. As such, this is the method and mode in which I teach. To open the minds of those who come here to see beyond the labels that they have ‘read’ about and see past them to experience consciousness AS consciousness and not a neat and tidy box limiting their experiences. This is how we teach in Destynee’s Plan. We attempt to get the individual to leave their box behind and open their minds to the larger reality… that larger reality includes the physical. I know that a lot of people here have experienced this before. You’re trying to Project consciously or Meditating and all of a sudden, you know full well that your eyes are shut tight, yet you’re able to see your surroundings just fine! I’ve experienced this many times while meditating at home sitting in my living room and I’m able to see my surroundings looking exactly as they are. So what is this? Was I *REALLY* seeing my living room? I could see my tv… the tv stand… the wall… the dog beds… they were all there. Well, it wasn’t until I started doing this on the train going into work each morning that I believe I have a theory. I try meditating on train each morning, the end result is that as the train pulls into Toronto, I’m usually pretty relaxed. 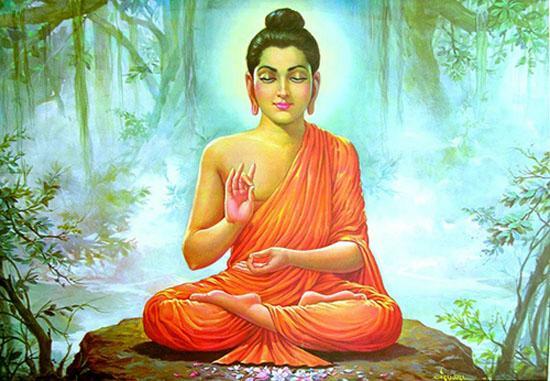 I sit there for a bit longer waiting for everyone to leave so that there is room for me to leave as well… and as I’m sitting there I simply continue my meditation. What I experience, usually on most days is the whole “seeing through my eyelids” thing, only what I see isn’t a direct reflection of what is actually going on around me. It’s not even always from the same perspective of where I’m sitting. I’ve seen my fiance get up and walk away… I’ve seen people who are sitting in front of me get up and leave (not always the same people as are actually there too! )… then upon opening my eyes physically, I see that these people are still sitting there. My theory is that what we’re “seeing” when we see through our eyelids IS NOT actually physical reality at all… you’re seeing non-physically, and it’s mixed very highly with what you believe is around you at the time. Destynee’s Plan – Personal Attention To Learn Astral Projection! We’re opening Destynee’s Plan on the Unlimited Boundaries Forum! 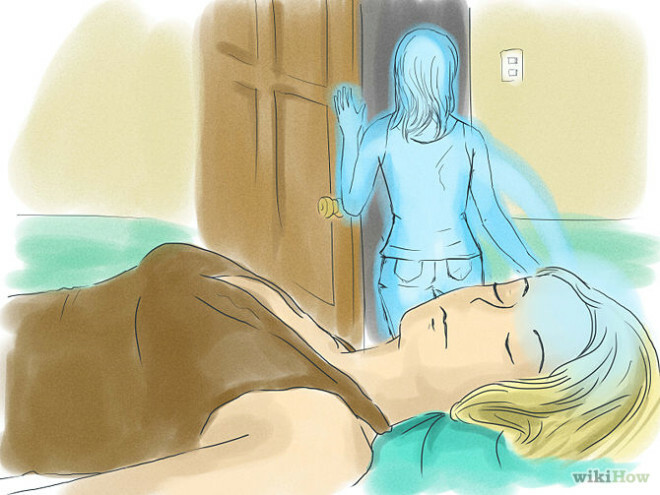 Have you been trying to learn Astral Projection, yet haven’t been able to do it? Are you confused about what you’re trying to do? What we’re willing to do for you is provide you with personalized, individual attention from myself or one of the other highly experienced individuals who have agreed to put aside time in their busy day to help YOU learn Astral Projection! This is a 100% free service. You don’t have to pay a single dime now or ever! Our payment is knowing that we have taught people how to experience the larger reality for themselves. THAT is our goal. It’s called Destynee’s Plan in honor of the individual who first thought of this concept of personalized, individual attention to help people learn Astral Projection. Head on over to the above links, create an account and post your desire to learn. We’ll try to match you up with someone in order for them to teach you, OR you can also post in the sub forum section and get advice from everyone. It’s up to you. All that we ask is that you put as much dedication into this as we are putting into it for you. We want you to experience the larger reality for yourself, first hand. That’s the only way for you to break free and truly begin to learn for yourself. So we’ll see how this goes! Thanks everyone! Now, unless what you mean is that the SUBJECT of the dream was projection, for example, you were talking to a friend about astral projection. That, to me, is dreaming of projection. But what most people I’ve spoken to about this subject mean is that they were aware they were dreaming, yet the experience still felt “strange” and “dreamlike” to them. First, you can’t “dream about projection” in that manner. You’re either aware that you’re non-physical (projection) or you’re not aware that you’re non-physical (dream). <-- also, this alludes to the idea that dreams aren't what we think they are, but that's a discussion for another time. A lot of people, especially new people to Projection who don't have much or any experience, confuse "pre-projection sensations" with having a projection. 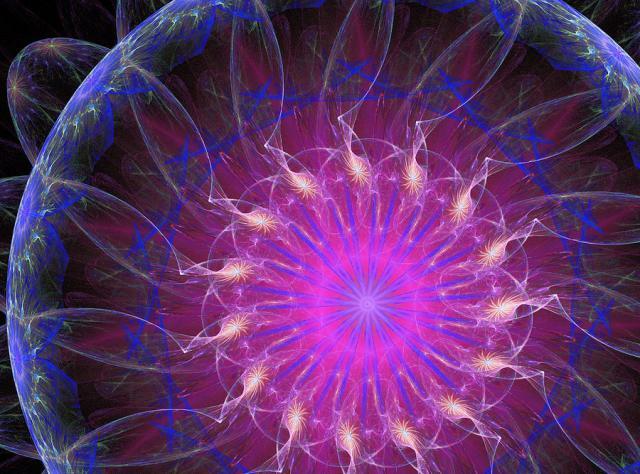 Stuff like waking up or falling asleep with Vibrations and feeling a sense of separation in the same way that people meditating might have these sensations. You can experience them while meditating, while falling asleep or even while waking up. Unless you were explicitly in the non-physical AND aware that you were non-physical, then it's not a projection. Now let's quickly address false awakenings. A false awakening is a dream in which you believe you're PHYSICALLY awake and going about your business. It IS a projection in which you think you're awake, yet you don't realize you're actually still in the non-physical. It is a projection, in as much as a dream is a projection, however you're still unaware, but it's still a big step in the right direction. Whatever it is, it's a great start nonetheless. Everything we experience are stepping stones to not only becoming more familiar with that state of consciousness, but it also means that if you keep at things, you'll eventually succeed! 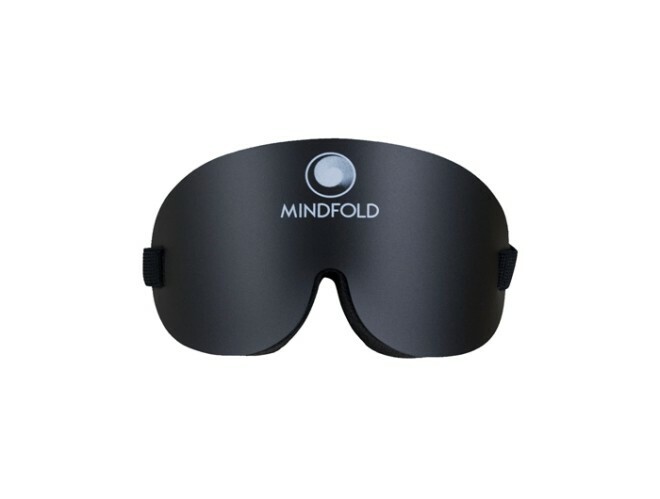 There’s a great product on the market called the Mindfold. The nice thing about the mindfold, and other functional products like it, is that you don’t have to worry about your eyes as much. It removes that factor of worry from your projection sessions. A lot of people, including myself, have had issues where you have your eyes closed… you get really deep, then your eyes begin to flutter. In the day light this can really ruin things… but with a mindfold on, you don’t have to worry about that light troubling you. You can actually practice without having to close your eyes at all! I’ve tested this… and it really works. Try it: find a room in your house which you can remove all light from… for me, it’s a bathroom on our main floor. If I close the door, put a towel under the crack in the door and turn the lights off, it’s 100% dark. Not an ounce of light anywhere creeping in. Now just sit there in the dark with your eyes open… if they begin to close, let them. This isn’t an exercise in keeping your eyes open. Allow them to do whatever they want to. Eventually, as you sit there, for the most part, meditating with your eyes open, you’ll start to “see” things. These are the same things you “notice” using the noticing exercise. The exact same things you would see if you had your eyes closed in an otherwise well-lit room. You can project from this state just fine too. PROJECTION WITH YOUR EYES OPEN. Why does this work? Because with the room dark, you’ve done the same thing as if you had your eyes closed… you’ve shut off the visual sensory input, and this is the cause for triggering of the 3D Blackness/Void state. By just doing this, you can initiate a conscious exit projection. Let me know how things go! Enjoy! One of the nice things about running your own website is that you can see what searches people are using to find your articles with. Someone wanted to know, “what does grounding your body mean in astral projection” (if you recognize this search, please feel free to comment. :))… which is a really valid question, not to mention a good one, since it’s loaded with a lot of preconceived beliefs which I feel are really not really required. So being able to free people from this kind of thinking is great for actually getting to the non-physical and personally experiencing it. What grounding yourself means is the same on the physical level as it is on any non-physical level, this is because it’s not a physical act… it’s an act of consciousness. Grounding yourself goes hand in hand with Centering yourself. It means to remain calm and emotionally balanced at all times. This ties into the phrase “raise your vibrations”… the more focused, ground and centered you can remain, the “higher” your vibrations are. Yup, there’s nothing mystical or magical about “raising your vibrations”. In fact, it’s an act you do on a daily basis and don’t even realize it BECAUSE you probably think it’s some mystical or magical thing. If actions such as “grounding” are a non-physical thing, then the natural extension of them is that if you can keep yourself ground and centered while projecting, you can not only strengthen your experience, you can extend it too! This is because you can remain calm and notice the ‘signs’ of when you’re about to wake up… and immediately be able to do a technique to remain projecting.